Out now from Wendy Lamb Books/Random House–it’s my latest middle-grade novel, The Great Hibernation! What would happen if every grown-up in town fell asleep and the kids were left in charge? A great pick for fans of A Tangle of Knots by Lisa Graff and Greenglass House by Kate Milford, or any reader seeking a quirky mystery with a big helping of hilarity. Other editions: Published in Czech by Albatros, and available as an audiobook from Ideal Audiobooks! Discussion guide for book clubs & classrooms here. 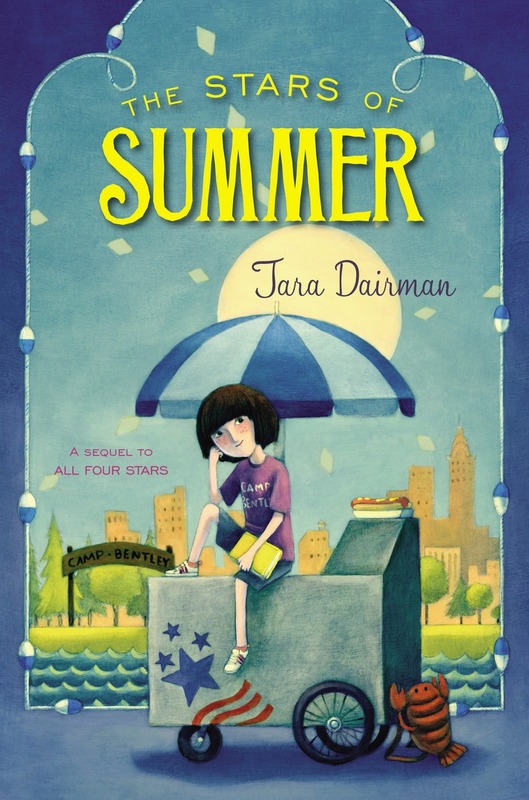 The sequel to All Four Stars is called The Stars of Summer, and was published on May 5, 2015 by G.P. Putnam’s Sons/Penguin. After successfully completing her first restaurant review for the New York Standard newspaper, 12-year-old foodie Gladys Gatsby is looking forward to a quiet summer of cooking and eating. But her plans quickly go awry when her friend Charissa Bentley delivers Gladys’s birthday gift: a free summer at Camp Bentley. As Gladys feared, camp life is not easy. She struggles to pass her swim test, fails to keep the other campers happy while planning lunches, and cannot seem to get away from the annoying new “celebrity” camper. Worst of all, there’s no time to sneak away for her latest reviewing assignment: finding the best hot dog in New York City. 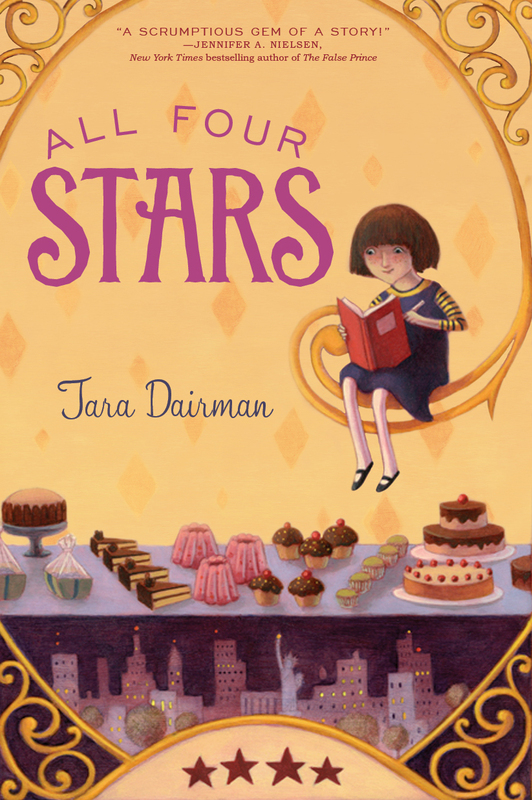 The third book in the All Four Stars series is here! 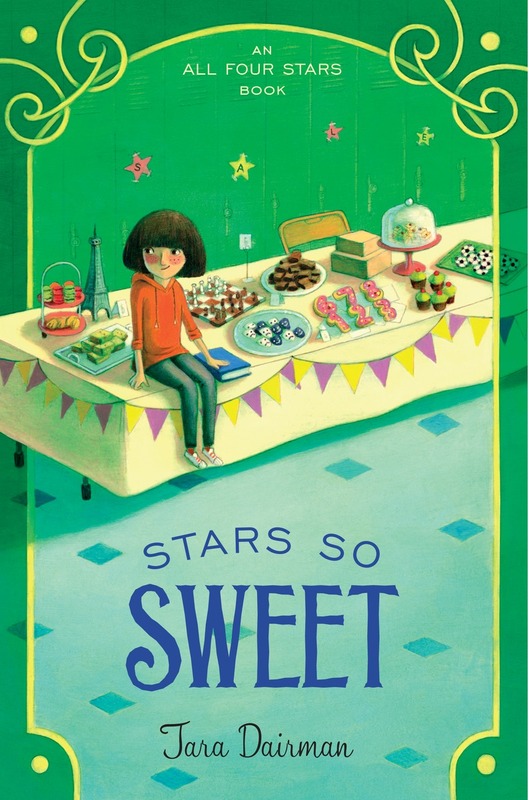 It’s called Stars So Sweet, and was published on July 19, 2016 by G.P. Putnam’s Sons/Penguin. I also have a short play published in this lovely Irish anthology. It’s called Tara Has Written a Play. No joke! You can learn more about my plays and screenplays here.